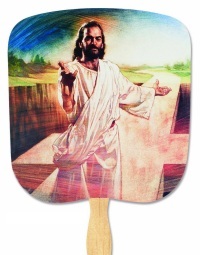 Religious & Inspirational hand fans are screen-printed on 18-pt. 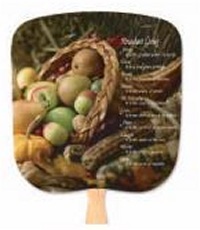 cardstock and have a wooden handle glued to the back. 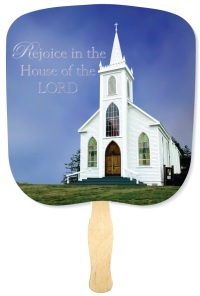 Select from our many different, beautiful stock designs printed in full-color on the front with your custom printed information on the back. 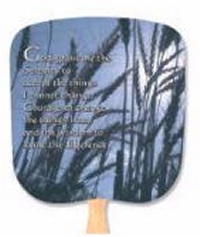 Each handheld fan is about 8", not counting the handle. 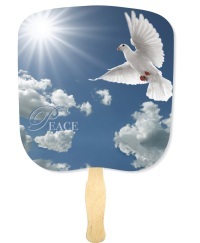 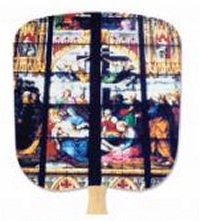 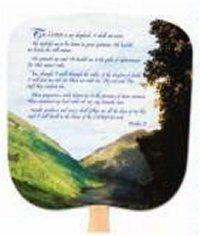 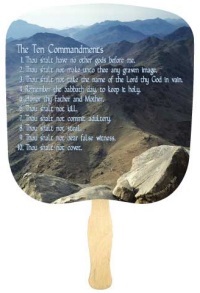 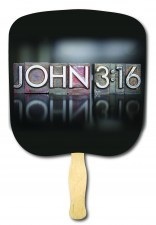 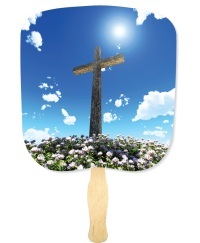 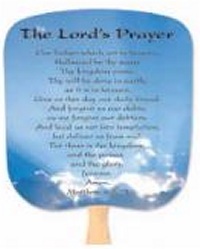 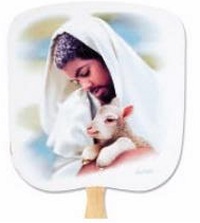 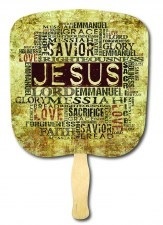 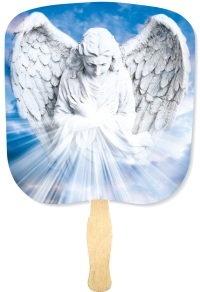 Hand Fans Click here for other types of fans we offer, including many other types of personalized and Church fans. 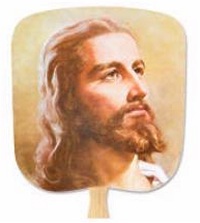 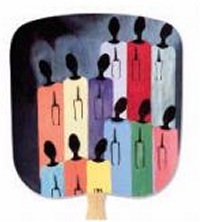 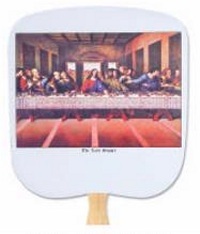 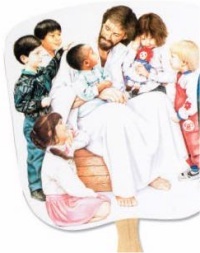 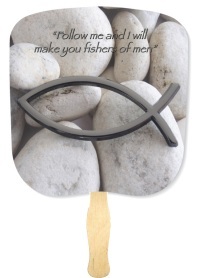 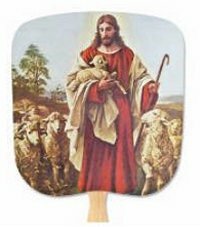 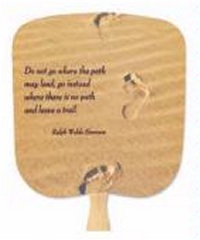 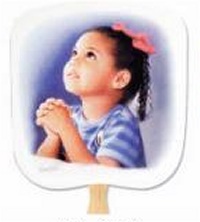 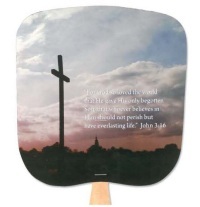 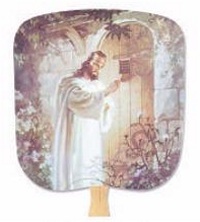 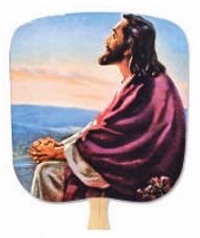 Religious hand fans, inspirational hand held fans, church hand fans. 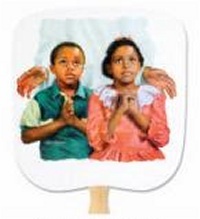 An additional $35 non-refundable artwork charge must be paid before work can begin. 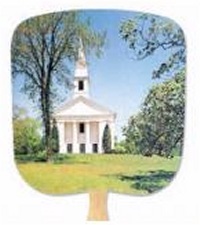 Stapled handles are available on these fans for an additional charge.